Siege of Barad-dûr (3434 S.A.) - The final battle that brought about an end to the Second Age. 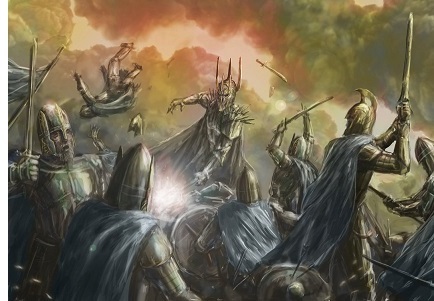 It featured the last alliance of Elves and Men against the forces of Mordor, and would last seven years. Sauron survived the Fall of Númenor because he possessed the Ring of Power, but the catastrophe did not leave him unscathed. The free peoples' of Middle Earth saw an opportunity to defeat their Enemy once and for all. And they did defeat Sauron (temporarily), but it did not come without a cost.